Epstein on Azarga Uranium: the Next Permitted ISR Project in the U.S.
With the uranium spot price move from $28/lb to $35.75/lb, up 28% according to Tradetech, I wrote the following article on small cap uranium company, Azarga Uranium. Many readers have probably heard of uranium companies like Uranium Energy Corp, Uranerz and Ur-Energy, all of whom have In-Situ-Recovery (ISR) projects in the western U.S. A company flying under the radar with an emerging ISR project in South Dakota is Azarga Uranium. Azarga is being formed by the merger of private Azarga Resources Limited and Toronto main board listed Powertech Uranium (PWE.TO) (PWURF). The merger has already been approved by shareholders and the combined company has done a C$5 million capital raise to fund post-merger activities. The deal is just pending TSX approval, which is expected in October. In the meantime, investors can buy the MergeCo by buying Powertech stock. Azarga presents a growth vehicle with a number of uranium assets at varying stages of development. In addition to the ISR project in South Dakota named Dewey Burdock, Azarga owns 100% of the Centennial deposit in Colorado (PEA completed), equity investments in Australian-listed companies Black Range Minerals and Anatolia Energy, 80% ownership of the largest known uranium deposit in the Kyrgyz Republic (next to Kazakhstan and China) and a highly prospective exploration portfolio of 34,000 acres in Wyoming. Readers might recognize Wyoming as one of the most prolific uranium producers in the country with Cameco, Uranium One and Uranerz all active there. Dewey Burdock ISR Project to be Among the Best in the U.S.
Dewey Burdock, located in South Dakota right on the border of Wyoming, is the crown Jewel at this stage of Azarga Uranium’s growth. It’s the highest grade ISR project of any of the peers. A 2012 PEA for Dewey, based on a long-term uranium price of $65/lb, boasts a Net Present Value “NPV” of $109 million and an IRR of 48%. This is a decent sized deposit with NI 43-101 compliant Indicated & Inferred pounds of 6.7 million and 4.5 million pounds, respectively. However, of the 88 miles of measured ore trends – only 18 miles have been drilled to date. 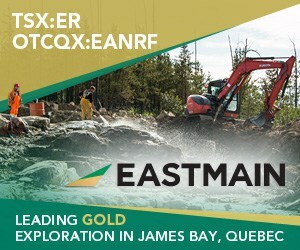 Overall exploration potential has been estimated at up to 25 million pounds. (NOTE: The 25 million pound figure is conceptional in nature and is not NI 43-101 compliant). As it stands at 11.2 million Indicated & Inferred pounds, this is a top-tier ISR project. However, management believes they can make the project even stronger. By ramping up production over three years instead of one, they believe they could save about $17 million from the 2012 PEA estimate of total cap-ex of $42.5 million. Internal calculations indicate that the improvement in the NPV of the Dewey Burdock project could be up to $19 million. These are internal estimates, therefore management has retained third party-expert TREC to update Dewey Burdock’s PEA. The update is expected in the fourth quarter of 2014. Highest Grade ISR Project in the U.S.
Dewey Burdock is making steady progress towards production in 2016. The Nuclear Regulatory Commission license was issued in April, 2014. Now the company awaits the signing off by the EPA and South Dakota State permits. All permits are expected to be in place within 9 months. Project construction timeline is approximately 12 months so 2016 production remains feasible. With total cash operating costs estimated at $29/lb and Dewey could be ramped up slowly in the event the uranium market takes longer to normalize but it still has strong project economics at low uranium prices. At US$ 50/lb (close to where the forward curve is for 2019-20), the project still has an IRR of 24% (note: this includes a 20% contingency – the IRR excluding contingency is 34%). An important reason for the strong IRR from the 2012 PEA comes down to ore grade. For example, one of Uranium Energy Corp’s most important projects is Goliad in Texas. That project’s Measured & Indicated Resource is 5.5 million pounds at an average grade of 0.05%. Uranerz has 5 ISR amenable deposits in Wyoming with Measured and Indicated resources ranging from 2.2 million to 4.3 million pounds at an average grade of about 0.11%. Australian-listed Peninsula Energy has the Lance project with a reported grade of 0.05%. Ur-Energy’s flagship Lost Creek project has an average grade of about 0.054%. Compare these grades to Azarga’s Dewey Burdock at 0.21%, twice that of Uranerz and quadruple the grade of key projects by UEC, UR-Energy and Peninsula. Uranium grades of under 1% may all seem the same to readers, but consider this. At 0.21% grade, a short ton of ore contains 4.2 pounds of uranium, worth $185 at the current long-term uranium price of $44/lb or about $300 at a long-term price of $70/lb. Grade is king and Dewey Burdock has the very high grades. Azarga Uranium also owns the Centennial project in Colorado, where 3,500 holes and >300,000 meters were drilled 1970s – 2009. Centennial has a nice sized NI 43-101 compliant resource of 9.5 million pounds Indicated and 2.1 million Inferred. The grade is a solid 0.09%. The economics of Centennial are not quite as robust Dewey Burdock’s. However, the PEA was done in 2010 and management believes there’s room for improvement. With that in mind, Azarga is updating Centennial’s PEA in the 1st quarter of next year. If Centennial’s updated PEA makes the project more viable, that could be an important valuation event for the company. Another possibility is that Centennial will become a satellite project for Dewey Burdock, which could meaningfully extend Dewey’s lifespan. Like other U.S. uranium producers, Azarga has substantial exploration potential with 34,000 acres of exploration ground in Wyoming comprising Aladdin, Dewey Terrace and Savageton. According to management, Dewey Terrace likely contains uranium deposits that could extend the useful life of the Dewey Burdock Project. Evidence of this comes from extensive drilling in the 1970s and 1980s including data acquired from Teton – 298 drill holes, with 208,500 feet logged. The cost of this drilling campaign in today’s dollars would probably be in the tens of millions of dollars. Recently, 20 new holes were drilled confirming the presence of several zones of uranium mineralization. At Aladdin Azarga controls 15,000 acres in Crook County (same county as Peninsula’s Lance Project). Aladdin has had minimal drilling on it to date, but it does have a NI 43-101 compliant Indicated Resource of 1.0m lbs U3O8 at 0.11%. According to management, there’s a conceptual resource potential estimated at 5-11m pounds at Aladdin in the range of 0.11-0.12% U3O8. NOTE: This is not a NI 43-101 compliant figure, it’s merely an internal estimate to put Aladdin in context with other U.S. ISR deposits. Savageton is comprised of 6,000 acres in Campbell County (same county as Uranium One’s Moore Ranch and Uranerz’s Nichols Ranch). Savageton has a historic resource of approximately 1.0m pounds U3O8 that was calculated in 1976 by data provided by Getty Oil Company. Again, this is not a 43-101 compliant resource, but demonstrates that there could be a deposit or series of deposits large enough to support a mining operation, especially given its proximity to Moore Ranch and Nichols. Azarga has investments in two Australian publicly-listed companies, Black Range Minerals and Anatolia Energy. The market value of these two portfolio companies is approximately $7 million. Azarga owns stock and convertible debt equal to 34% of Black Range. That company is currently advancing the Hansen/Taylor Ranch Uranium Project, located northwest of Cañon City, Colorado, toward production. The Project contains JORC Code-compliant (the Australian equivalent of a NI 43-101 compliant resource) Indicated & Inferred resources of 90 million pounds U3O8 at a respectable grade of 0.06% U3O8, making it the largest mineable uranium project in the U.S. Using a 0.075% grade cutoff, the deposit would be a still quite large at 43.6 million pounds at an average grade of 0.12%. This project is well underway with permits expected to be granted in 2016. In addition to Black Range’s scale, it owns a 50% interest in a joint venture uranium separation technology that could be a game-changer for the uranium industry. The technology can separate 90% or more of the waste, leaving the contained uranium in just 10% of the original mass of run of mine ore. This amounts to considerable savings is transporting the ore to a mill, processing costs at the mill and usage of tailings ponds, among other things. Azarga also owns 15% of Anatolia Energy, an exciting uranium company in the country of Turkey. In Anatolia, Azarga has singled out a world-class project to be part of. The main project at Anatolia has a PEA with a NPV of $174 million assuming uranium recovery at what has been described as a, “conservatively estimated” 9,125,000 pounds at a production rate of 1.0 million pounds U3O8 per year. The base case Project economics assuming a long term uranium price of $60/lb result in an incredible IRR of 103% at and 8% discount factor. Kyrgyz Republic in Central Asia–Azarga owns 80% of the largest known uranium deposit in the Kyrgyz Republic, located fairly close to both Kazakhstan and China. Some readers may not know that Kazakhstan is by far the largest uranium producing country on the planet. There’s been some worth on Azarga’s Kyrgyz deposits, but a stronger uranium price is needed to make them economic. There’s a NI 43-101 Resources 7.5 million pounds Inferred and a conceptual resource target (non 43-101 compliant) of 1.9-6.5m pounds only on immediately adjacent areas. There’s the possibility of substantially more resource as the company has 3 exploration licenses covering 200,000 acres. However, it’s too early to tell how big an opportunity this could be or how long it would take to get into production. Still, the known deposit is in a fairly strategic location as there’s an operating uranium mill in country 265km away by rail and close to China. Finally, there’s some prospective rare earths as 2012-13 physical exploration (incl. drilling) showed a number of prospective rare earths results. To reiterate, this is blue-sky upside potential, not the core focus of the company at this time. The well known U.S. ISR players, Uranerz, Uranium Energy Corp and UR-Energy trade at Enterprise Values (market cap – cash + debt) of roughly C$125 – C$190 million. Azarga Uranium trades at an Enterprise Value of about C$25 million. Therefore, I believe that as the long-term uranium price returns to $60-$65/lb, an investment in Azarga offers significantly more leverage to that uranium price rebound. Make no mistake, I don’t mean to suggest that Azarga will entirely close the gap in Enterprise Values, but I believe Azarga Uranium could be a stock that triples, comfortably outperforming peers. Simply put, Azarga Uranium is a high-beta play on a rebound in the uranium price. Disclosure: The author has no prior or existing relationship with any company mentioned above. The author owns shares of Powertech Uranium, (PWE.TO).